This page has the record of glory for Manama Basketball Club. 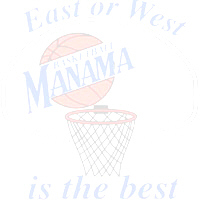 It contains the championships that Manama has won till the moment. All those moments that Manama climbed the prize awarding bench and were declared WINNERS. These are only the ones accomplished by club's men's first team. Superiority Cup: Given to team with most points collected through all the different junior/men's championships. GCC Cup: Gulf Cooperation Council Cup, for teams that won domestic championships.